As if I wasn’t already lusting after Chevy’s reborn Camaro but now it’s available in a drop-top. 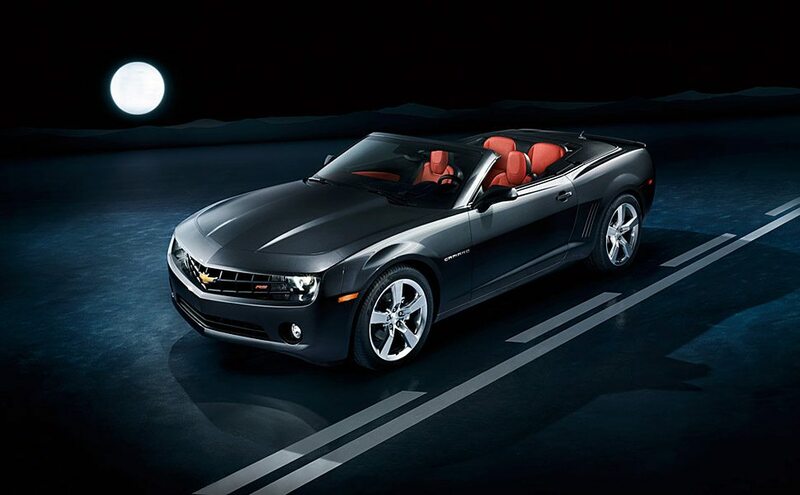 The 2011 Chevrolet Camaro Convertible ($30,000 and up) has arrived. The frame has been significantly reinforced to retain torsional stiffness and features a thick , durable canvas power-folding top. Besides the drop top you get a 312 hp V6 engine in the standard model or a 426 hp, 6.2L v8 in the SS model, a six-speed manual or automatic transmission, and a wind-beating sound system with a dedicated sub located in the trunk.